It is impossible now to think of a business organization without having an online presence. Just having a social presence to have effective marketing means does not surge one ahead of the competitors. There is the requirement of a website which actually displays the true self of the company in front of visitors. The website must customize by repute web developers. So that proper customization can achieve and all benefits achieves. Yes, websites can make in a much cost-effective manner using a website builder or software. But would such a website have the required uniqueness which will make it stand apart from those of the competitors? It is definitely not going to have that uniqueness which one can have having custom web development from reputed organization. When a custom website is make it is not dependent on any theme. The imagination and the requirement that one has are the foundation stone of the web development. There are no limitations or restrictions which bounds the developer to develop the site as according to the business desire. The uniqueness such created makes the site stand apart from the rest. Makes one showcase the actual company before the visitor to turn them to be real customers. The speed of the site would be quite fast when customized rather than building the site on available templates and software. These templates or software have functionalities which are built-in which may not be needed for the site that is being developed. As these functionalities are built-in they cannot be discarded and they slow down the site that is being developed. It is for sure that visitors would not stick to a site which takes time to load. This problem of speed of loading can be tackled effectively having custom application development services from the reputed web developing organization. They will develop and integrate only those applications which are required for that particular business site and hence the site will have speed. Having the use of templates or software to develop a website makes it vulnerable to many nature of security breaches which are often face by other sites develop using such means. If a visitor sees that the security of a site is not adequate. Then it can certainly say that they will not stick to that site and search for another having high-security features. 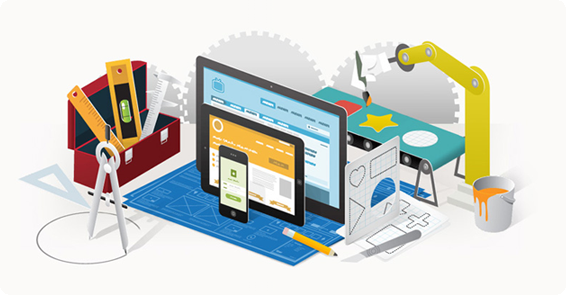 Having the services of web developers and customizing the site it can be expected. That they will develop the site keeping SSL in mind. Though they may be using an open source platform to develop the site the codes that they utilize will not make public. The hosting environment may also optimize in order to enhance security. It is for sure that websites which are custom build according to business requirement will be scalable and flexible according to the business needs. When one has such a development. Then it can expect that the site would be built keeping in mind the future requirements of the business house. It would be scalable to accept more traffic and flexible enough to accept more functionalities as and when required. Having such a website ultimately helps to save money and time. As the business grows there would not be any requirement for change of website. As the same site would be capable of handling the pressure of development. It is not only good to have a website but that must optimize as per the business requirement of the business house. That is what is possible to have when the site is customize according to business requirements. The developer will completely understand the requirement and optimize those functions which are requires for having business enhancement. As the site developed would be customized according to the business requirement there would not be unnecessary functionalities which would distract the customer from being at the point where they need to be. The features of the site would be able to improve the customer experience. Hence customers would love to do business with that particular business house. It can say that customization would help to convert visitors into customers. Customization can make doing business easier. Features like where potential leads would be converted into an excel file in the administrative area can help one to know who should be called or targeted. So that business can enhance. There are many such other features which can incorporate to make business easier. Having custom web application development complete by repute web developing organizations will help one to have such benefits which will help to have the desires business development in a short span of time.